This past weekend, the lovely Kacy Lane was roaming the streets of Hollywood with a friend! Cruising along Hollywood Boulevard, you see people from all walks of life. From street performers, to tourists, to vagrants, even celebrities upon occasion. 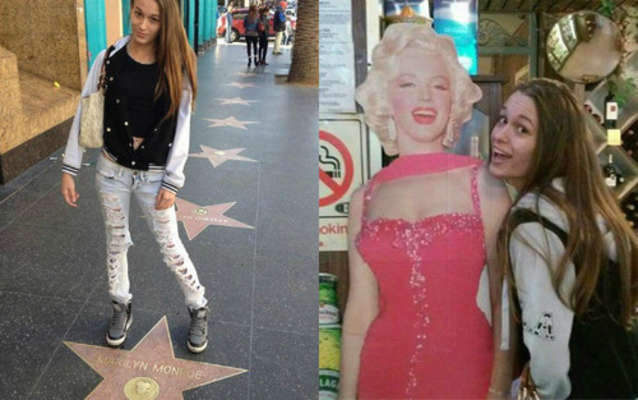 Kacy was also able to browse the stars on her Hollywood outing, and spotted her idol- Marilyn Monroe. It seems like she had a great time out and about in the city. I’m sure she bumped into a few famous people during her adventure, but the question is, who?